The United States is withdrawing from the United Nations Educational, Scientific and Cultural Organization (UNESCO) while seeking to establish a U.S. permanent observer mission to the organization. 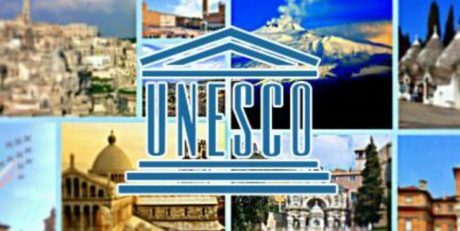 UNESCO is widely known as the U.N.’s cultural heritage agency because one of its functions is helping to secure the world’s cultural and natural heritage by designating certain places as World Heritage Sites. State Department officials said the decision to withdraw reflects U.S. concerns with mounting arrears at UNESCO, the need for fundamental reform within the agency and the organization’s anti-Israel bias. U.S. officials objected to UNESCO’s increasingly politicized posture. The State Department pointed to UNESCO’s repeated anti-Israel resolutions that deny the country’s connections to Jewish holy sites, including the Temple Mount. The United States stopped its contributions to UNESCO in November 2011, when the organization’s General Conference voted to admit the Palestinian Authority as a member state. UNESCO’s vote triggered two statutory funding restrictions that prohibit U.S. contributions to the United Nations or any U.N. specialized agency that admits any organization or group that does not have the internationally recognized attributes of statehood. Because of the funding restrictions, U.S. arrears to UNESCO are expected to reach $550 million by 2018. As an observer, the United States can continue to work with allies and like-minded states to lobby UNESCO to depoliticize, strengthen its governance and not to exceed its mandate, without seeing U.S. arrears continue to increase in the meantime. The United States has withdrawn from UNESCO before, in 1985. The United States had observer status until its return to the organization in 2003. This withdrawal will take effect at the end of 2018. It will not alter U.S. policy of supporting international cooperation in educational, scientific, cultural, communication and information activities that align with U.S. interests.